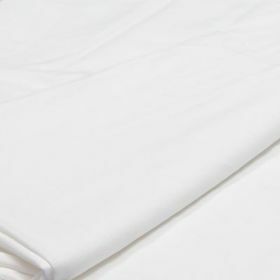 The Phottix White Seamless Photography Backdrop Muslin (3x6m) – perfect for studio use. The Phottix White Seamless Photography Backdrop Muslin (3x6m) is the perfect background for classic studio portraits. It is finished on all sides to prevent tears and is simple to store without creating clutter. This backdrop is the perfect accompaniment to the Phottix Background Stand Kit. The seamless material ensures that finished photos have a consistent background. Made from a high quality muslin material it does not reflect light so the object in front of it will be correctly illuminated.